Puzzle 5 (no math for this one): Two fathers and two sons sat down to eat eggs for breakfast. They ate exactly three eggs, each person had an egg. The riddle is for you to explain how. Day 3 13. Who was the Congar that named the Dark One? 14. On what two festivals does Rand lay flowers on his mother’s grave? 15. Which guardsman catches Rand in the palace gardens with Elayne? 16. How do the Shainarans greet Loial? 17. What area do Perrin and Egwene trek through when separated from Moiraine? BONUS QUESTION (worth 2 points): 18. What is the name of the Mahdi Perrin, Egwene, and Elyas meet? It's logical to look your best no matter the circumstances. *nods* *Mashi twirls prettily and her dress poofs out around her* There's nothing better than a dress that poofs. Oh, it's so hard to pick! Nynaeve is my all time fav, and I guess she is from the Two Rivers, so that works. I love Nynaeve mostly because she fell in love with Lan. 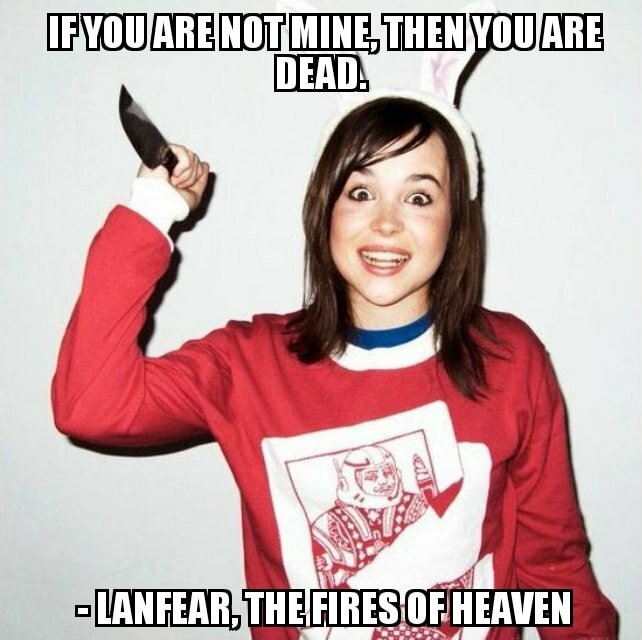 *lol* I love romance, and since they were the first on screen romance (besides the forced love between Rand and Egwene) I gravitated toward Lan and Nynaeve. Apart from that, I love her tenacity. Once she leaves the Two Rivers, she's scared but she never backs down. I'm a pretty meek person, so I've always admired people who can speak their mind! This is correct! To get past the guard, you have to say the amount of letters in the number. 1 point for art336! I've been meaning to highlight this craft for awhile. For last year's JordanCon, I was very excited to finish my sul'dam dress. It turned out beautiful, and I adore the silver lightning bolts. But a sul'dam without a damane isn't complete. So, with long-time Dragonmount member Hallia as a willing participant, I got to work on crafting a damane dress. I started with four yards of a gray poplin folded in half. This gave me 72 inches in height and 60 inches in length. That's a great amount of material and the price for poplin is so reasonable! With simplicity in mind, I wanted to do as little cutting and sewing as possible. I cut the arms and sides with a single cut, then cut the neckline. I added satin binding to the bottom hem and the sleeves. The neckline gave me some trouble. I started an elastic binding, but it bunched too weird, so I switched it for a ruffle. And here we are at JordanCon! Hallia was such a good damane! And this was such a simple project. *Mashi saunters in and joins the gals by the drinks* I wonder if I can dance a reel in this dance. Let's find out! PUZZLE 1: A businessman, for personal reasons of his own, needs to gain access to a notorious but elusive thieves guild. After snooping around the city for a few days, he finally gets a tip about the location of the guild entrance down a dark alleyway. After observing the entrance for about an hour, the businessman notices that the thieves seem to have some sort of passcode system using numbers. When someone approaches the door, they are given a number, and then they reply with a number. The first person steps up, and the guard tells them "twelve," to which they respond "six." The person is admitted. A second person approaches the door, and the guard tells them "six," to which they reply "three." The second person is also admitted. Convinced that he has cracked the code, the businessman approaches the door to the thieves guild, and the guard tells him "ten," to which he confidently replies "five." The guard immediately slams the door in the businessman's face, and a deadbolt slots into place. What should the businessman have said? This is a place to come and stretch your thinking. I'll post puzzles of all shapes and sizes! Solve the ones you can, skip the ones you can't, and let's see who has the biggest brain! Answer any puzzles in the thread. The first to guess it gets the point! DAY 1: 1. What is the name of the town south of Emond's Field? 2. What three shadowspawn are spotted in the Two Rivers after Bel Tine? 3. What is the name of Captain Doman’s boat? 4. What was found under The Eye of the World? 5. What does the Green Man call Rand? BONUS QUESTION (worth 2 points): 6. Name two women who sit on the Women's Circle in Emond's Field. Welcome back to another Meme Monday. This week's victim is Lanfear, our favorite crazy ex-girlfriend. She first appears as Selene in The Great Hunt, and seems a sweet, sympathetic noblewoman on the run. However, things escalate quickly. And if that weren’t bad enough…. Odd to think that not much needs to be added to Lanfear’s actual dialogue. At least she serves as a good example of how not to act. The memes this week come from Kevin O'Bryan of DMEN Designs. If you have memes you want to share, email me at frontpage@dragonmount.com. This past week, Dragonmount's second-in-command Jennifer Liang participated in an Ask Me Anything discussion for JordanCon! 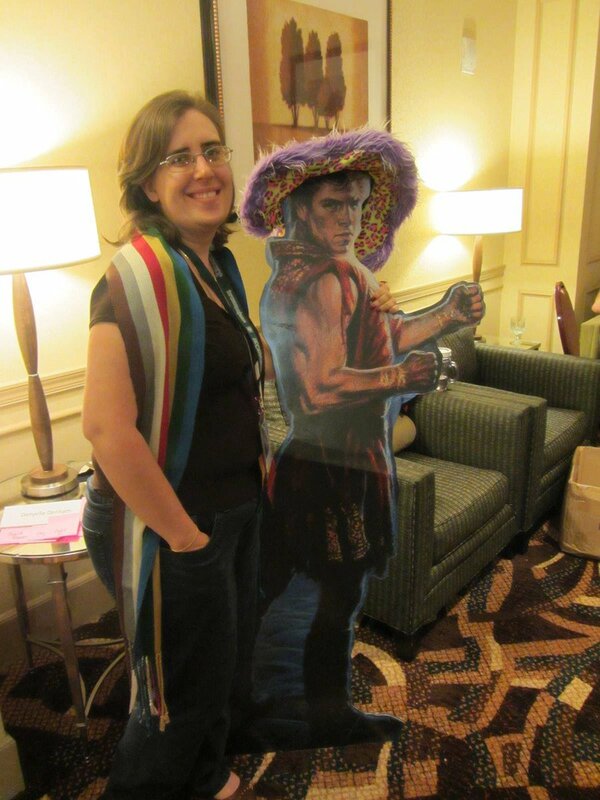 The questions asked range from favorite con memory: Jenn: When I got the Chodan Kal at opening Ceremonies last year. I was so shocked and touched that y’all did that for us. To "what's your favorite thing to do at JordanCon" (asked by Jimmy, her husband): Jenn: Bother you. She also talked about this year's JordanCon theme: Jenn: This year is “Shai’Con”. We decided to embrace our darker natures this year. So expect an evil twist on the usual things like opening ceremonies and the dance. And the growing trend of wearing tiaras: Jenn: At #JordanCon? In 2013 I was elected Pres of the Southern Fandom Confederation. Jimmy did not believe I’d win & promised to buy me a tiara if I did. I proved him wrong and now I have five. To learn more about Jenn and other JordanCon shenanigans, you can read the whole thread here.